Analyze any display. 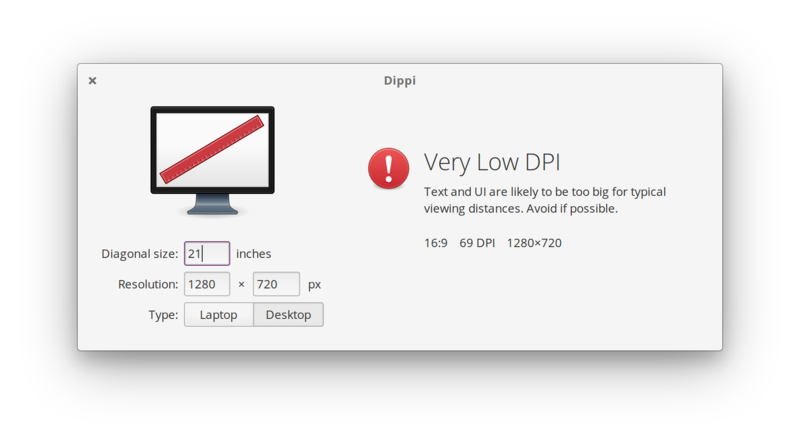 Input a few simple details and figure out the aspect ratio, DPI, and other details of a particular display. 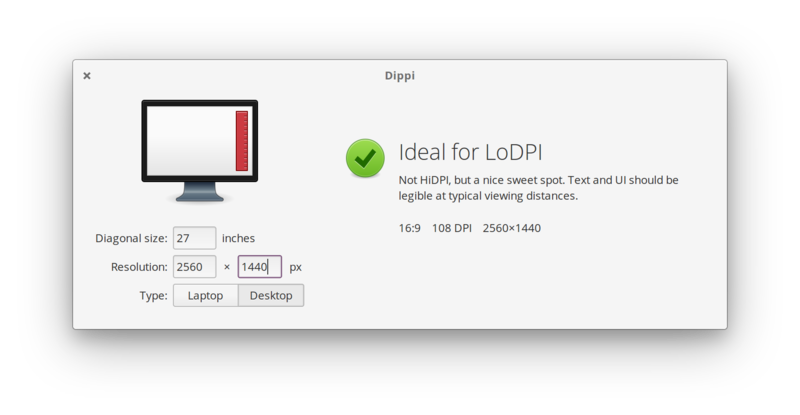 Great for deciding which laptop or external monitor to purchase, and if it would be considered HiDPI. 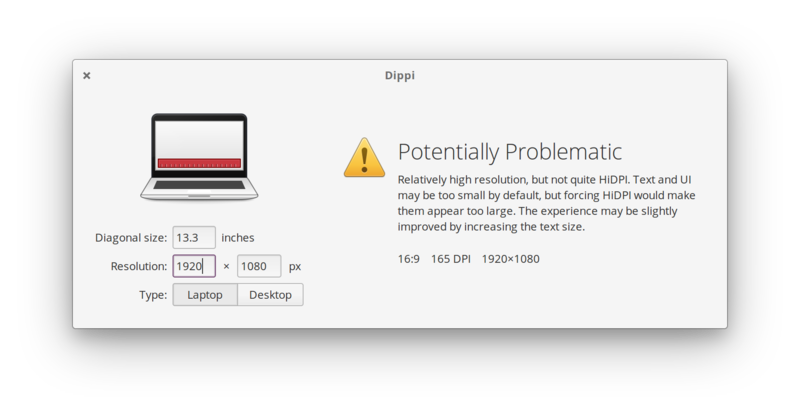 Based on the expertise of Cassidy James Blaede and the actual logic System76 uses to determine screen size and resolution combinations. 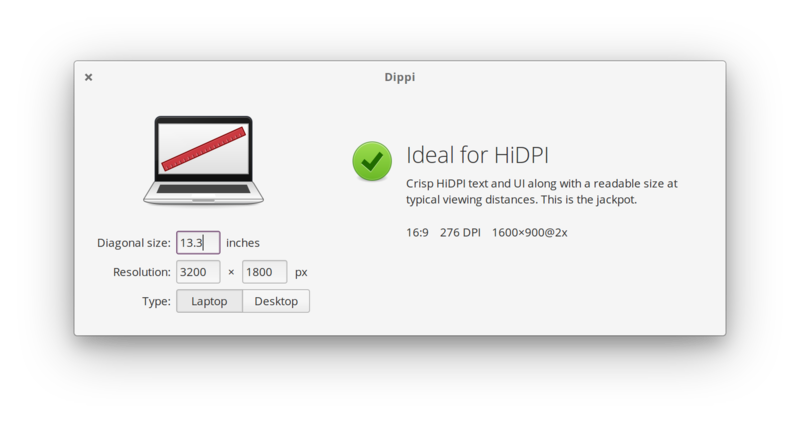 Get Dippi and more on elementary AppCenter, the open, pay-what-you-want app store for indie developers. Every app is open source and has been reviewed and curated by elementary to ensure a native, privacy-respecting, and secure experience.